"The mission of the CDS is to promote diverse abilities across the lifespan through interdisciplinary training, research, and service." 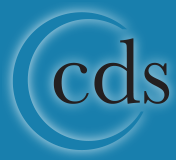 CDS is an Organized Research Unit recognized by the University of Hawai'i Board of Regents. The organization provides interdisciplinary personnel preparation; conducts community training and outreach; initiates research, demonstration, and evaluation projects; disseminates information on evidence-based practices; and serves the university and community to improve the quality of services provided to persons with disabilities. Annie Moriyasu is with the University of Hawai'i College of Education Faculty and Staff and is Education Specialist with the Center on Disability Studies. She is an accomplished artist with a Bachelor of Fine Arts degree and a Master of Arts in Cinema. It was great to hear the private sector's collaboration with CDS to employ persons with disabilities.